Nothing really happened on Thursday, 6 November, other than meeting up with a few other Ubud-based families we've met through the Families on the Move Facebook group. We drove a short distance to a local warung (this can be a hit or miss proposition, but this one was quite nice) and spent the afternoon talking about travel experiences. It was a fun, but the rest of the day was completely chill, so we're going to turn what would have been the day 78 post into a post on canang sari. Most of Indonesia is Muslim, except for Bali, which practices Hinduism, and each morning and then at several times throughout the day, people will place small offerings to appease and honor Sanghyang Widi Wasa, the all-in-one deity worshiped by Balinese Hindus—as well as other spirits, both good and bad. 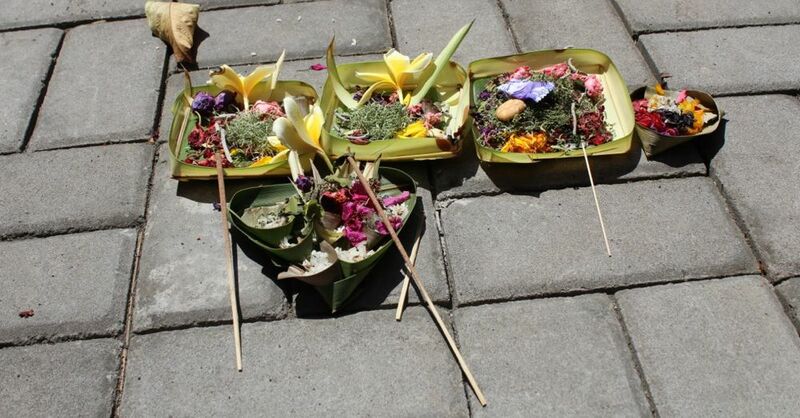 Canang sari placed on a shrine (Padmasana) to Sanghyang Widi Wasa at a family temple. 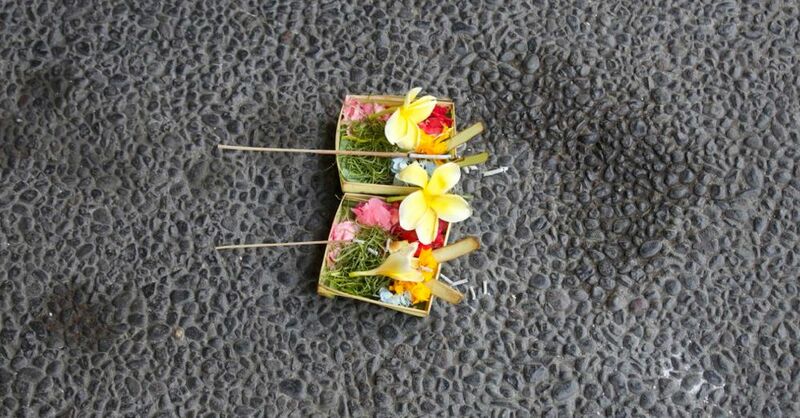 These offerings take the form of canang sari, palm leaf baskets (the "canang") about three inches square (but sometimes other shapes), filled with flowers and other small offerings (the "sari") such as coins, rice, pieces of candy, crackers or other foodstuffs, and usually a stick or two of incense. The flowers and other flora that make up the "sari" part of the offering are betel leaf and betel nut, lime, tobacco, and different types of flowers, each honoring a specific Hindu deity (which are all aspects of the all-in-one-god, if I understand it correctly). The offerings are placed in many different places: on the ground, in shrines, in special alcoves, on statues, and even in cars and on motorbikes. They're quite literally all over the place. You have to be careful when walking down the road so you don't kick or step on them. Woman placing a canang sari on a motorbike. The canang sari that are placed low or on the ground are to appease the evil spirits, while those placed up high are meant to honor the good deities. Not sure where the stove falls on the good vs evil spectrum. During the course of the day, one will see well-dressed individuals (usually women but sometimes men) walking around an area of town with a tray stacked with offerings and placing canang sari where needed. It's never been clear what prompts the specific placement of a canang sari, but after it's placed, these women will perform a small ceremony over the offering before moving on to the next one. 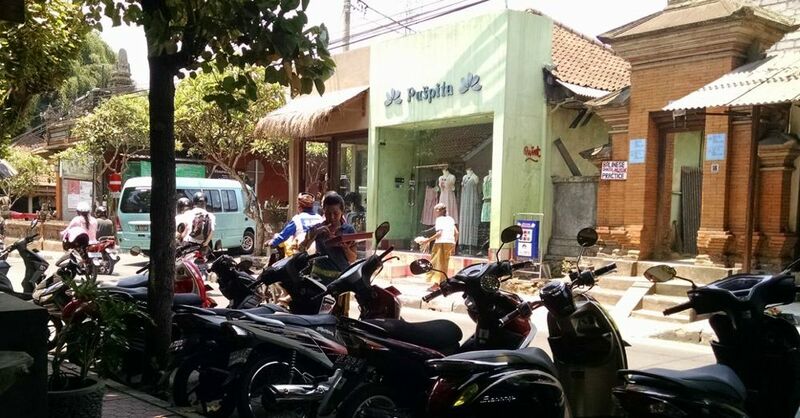 This seems to happen every few hours in the streets of Ubud. Sometimes there's only one offering, but more often they come in pairs or even larger groups. A group of canang sari on on the ground. 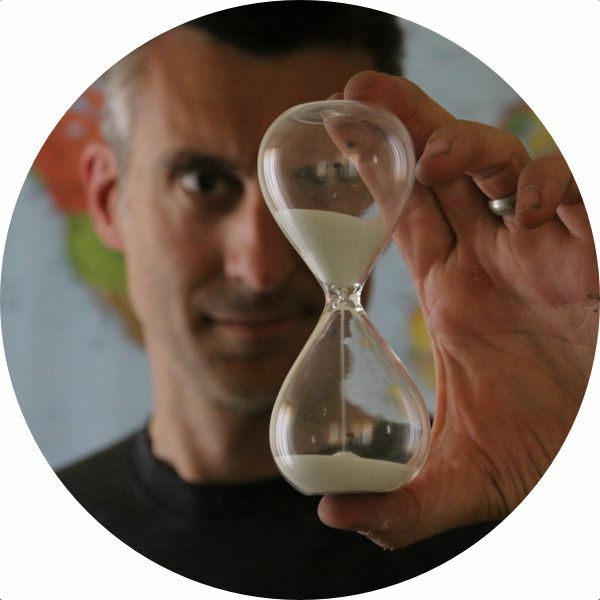 This practice helps to maintain a balance with the deities. As one of our drivers, a talkative guy by the name of Putu told us, Balinese Hinduism operates on three principles (the Tri Hita Karana): man's relationship to god (Parahyangan), man's relationship to other men (Pawongan) and man's relationship to nature (Palemahan). If any of those three are out of balance, then ... stress. And we all want to avoid stress. When the day is done, the canang sari are discarded. Newer PostMovie Night in Ubud!